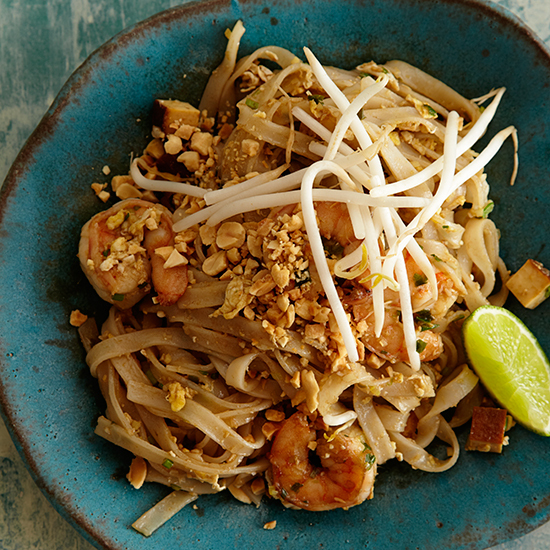 Homemade pad thai is incredibly easy to make and gets a huge boost of flavor thanks to tangy fish sauce, sweet-and-sour tamarind, tart vinegar and rich palm sugar. 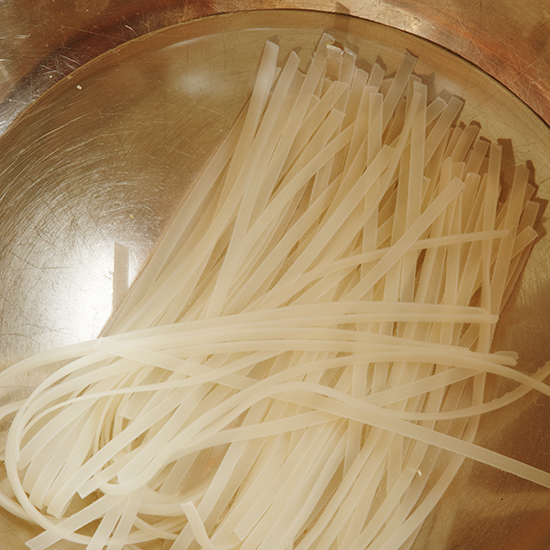 Place the noodles in a medium bowl and cover with hot water; soak until softened, about 15 minutes. Drain. 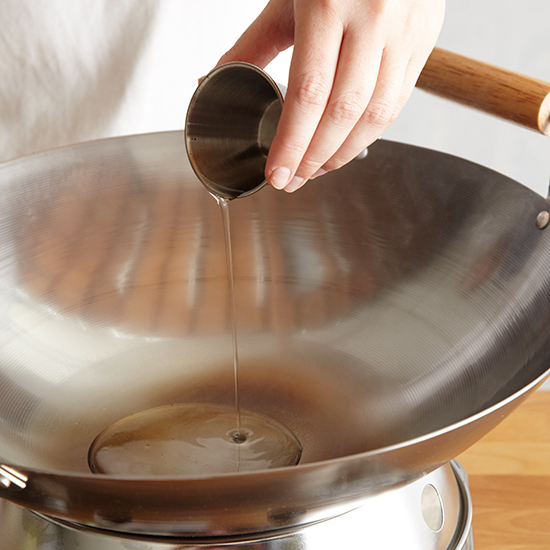 In a wok or skillet, heat the oil until it shimmers. 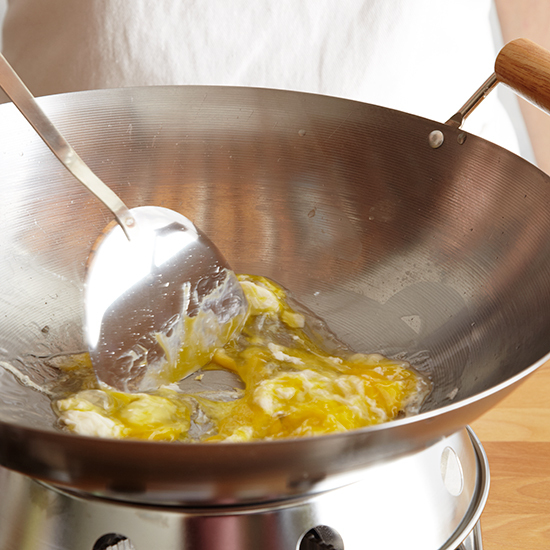 Add the eggs and scramble them until just set and cooked through, but not browned. 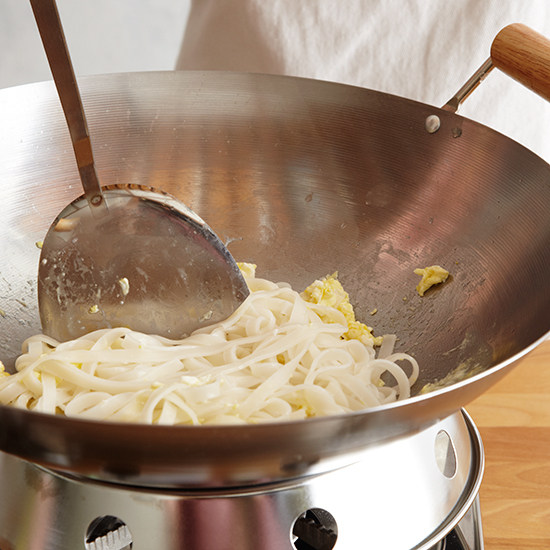 Add the noodles to the wok, tossing. 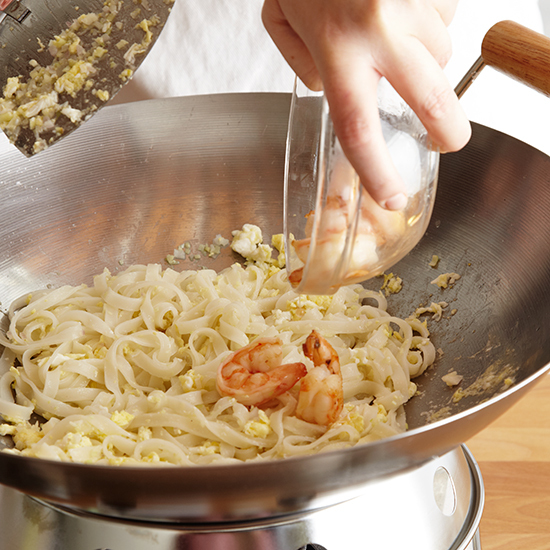 Add the minced ginger, shallots, garlic and lemongrass to the wok, tossing to combine. 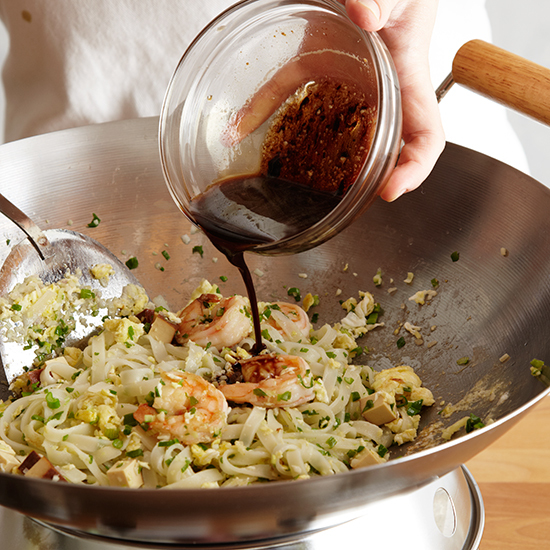 Add the cooked shrimp to the wok. 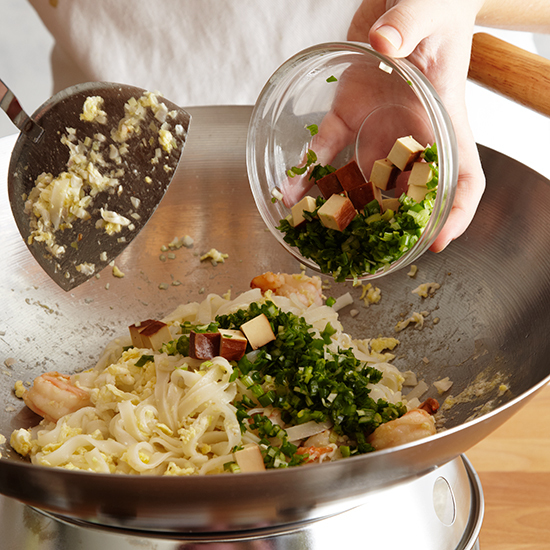 Add the smoked tofu and diced scallions and toss. 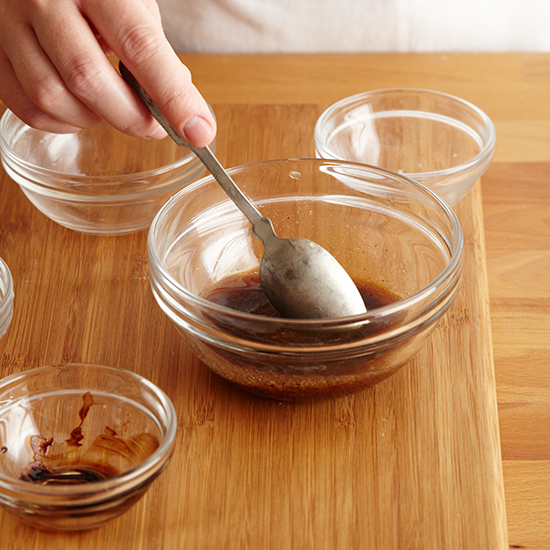 Stir in the tamarind sauce. 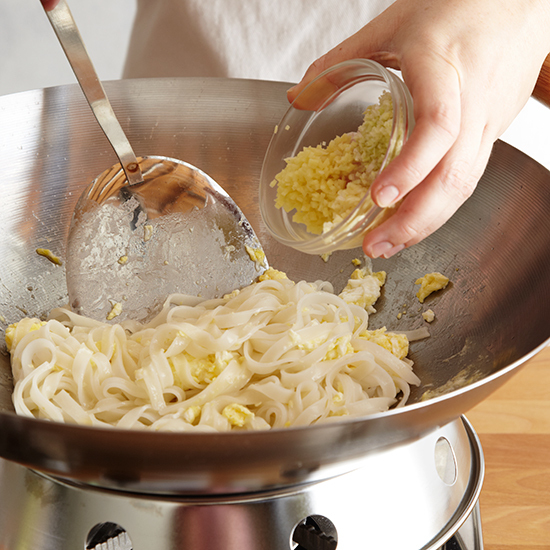 Transfer the pad Thai to bowls. 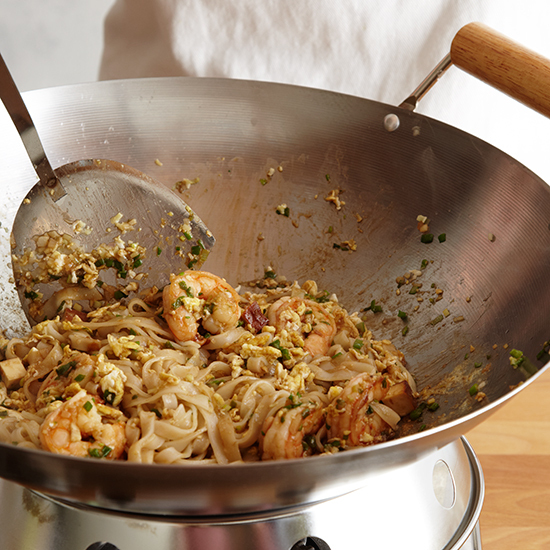 Garnish each bowl with peanuts, bean sprouts and a lime wedge.